We only use the best roofing materials to complete your roof installation, and we’ll make sure that your new roof is built to last in Innisfil. When you need new roof installation, you always want to make sure that you have a reliable team for the job. 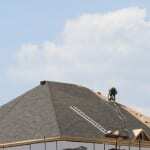 At Slippery Slope Roofing, not only will we provide you with the quality roof installation solutions that you need, but you’ll find that we provide unique services that make us stand out above the competition. Whether you are building a new home in Innisfil, Ontario or you are completing roof installation on your established property, the one thing that’s certain is you need a roof that will last during all types of weather events and for years to come. When you work with our team at Slippery Slope Roofing, you will see that we only use the best roofing materials to complete your roof installation and we’ll make sure that your new roof is built to last. Something else that sets us apart is that we only complete one job at a time. While other roofing companies may have multiple teams working on a variety of different roofing projects, we like to give our customers special attention and make sure that all of their roofing needs are met from start to finish. You won’t find another roofing company that provides service like that! Need another reason to go with us at Slippery Slope Roofing? What if we told you that we’ll keep your property clean while we complete your roof installation? We know that your home’s appearance is important to you, and we’ll do our best to keep your roof, your home, and your landscaping looking their best. If you need new roof installation on your home, make sure to give us a call at Slippery Slope Roofing today for an estimate on your roofing project. We look forward to working with you!